I met a widow named Louta during my last trip to Piela in February. Piela is a town in the Department of Gnagna Province in eastern Burkina Faso. The town has a population of about 8,000 inhabitants. The gospel message was brought here many years ago, and now we have several churches, a medical centre which serves not only the Piela population but many people in the villages in the north of the country, a school for deaf children, and a boarding school for girls. Since the Lord took my dear husband Jean home to glory 16 years ago now, I have been very concerned by the needs of widows like Louta, and the widows of Africa in particular. I could sympathize with the widows in our Western world. I could tell them that I understand them and feel for them. but the needs of the widows in West Africa overwhelmed me. They never complained or demanded anything from me, but when I started inquiring more deeply about how they were making it in life, I realized that these widows just existed - fighting to keep themselves alive and their children. After their husband's death, these women were often left on their own with no material or moral support. Many times their in-laws would take their children or even accuse them for the death of their husband, saying that they had a "bad spirit." I found this terrible treatment very difficult to accept, and when I put myself in their place, it was unjust and inhuman. I heard some of them telling me that sometimes they eventually gave in to the tremendous pressure and abandoned their rights - not that they have many rights in their culture as widows, anyway. Imagine as a mother to fight - and quite possibly lose - to try and keep your own children! When God first put this ministry to widows on my heart years ago, I went from one area to another and spoke to hundreds of women who were gathered in every place, often sitting under handmade hangars with over 40 C temperatures. They were eager to hear God’s Word, and I was even more eager to share it with them. There came the shock. I was literally overwhelmed, first of all, by the sheer number of widows present in every conference and then by what I heard. Those women felt very lonely, with no means to take care of their children, no money to buy an aspirin when they were sick. With this many widows, we are talking about them raising hundreds of children by themselves with very little help. The local churches were not supporting them, and they did not think that anybody would ever be interested in them. They felt like second-class Christians with no husband, no status, abandoned by their own families. They were desperate for someone to come and hear their stories. In light of all this, I would like you to meet Louta, a widow with five children. Her husband was pastor of our churches in Burkina Faso. He passed away a few years ago, and since then Louta has tried to make ends meet by doing several small jobs. This is where the Dorcas Project comes in. 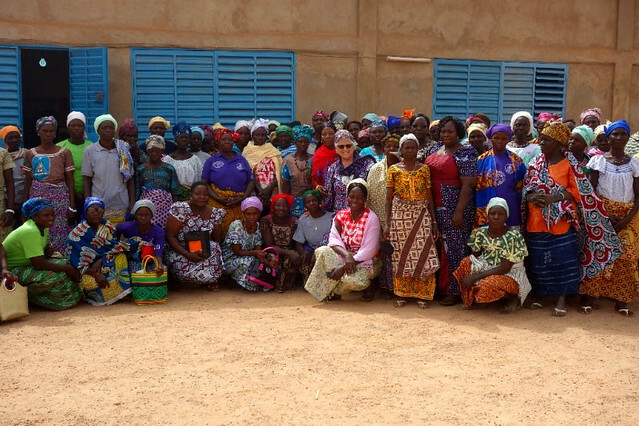 The Dorcas Project, named after the New Testament believer named Dorcas who provided financial support for the poor and widows, has helped more than 400 widows in Burkina Faso since 2006. I went to Piela to visit and encourage some of these widows whom I have known for years and meet the new ones. These widows have regular meetings in order to encourage each other and share a Bible message. The number of widows in Burkina Faso is big, and the waiting list to get help from Dorcas very long. Some of the widows do not always succeed with thei small business opportunities provided by the Dorcas Project, whatever they might be. But there are some who do very well. One of them is this widow named Louta. One small thing changed everything for Louta. Recently the President of Burkina Faso started wearing outfits made of a locally woven material, and by doing so, he launched a new fashion. 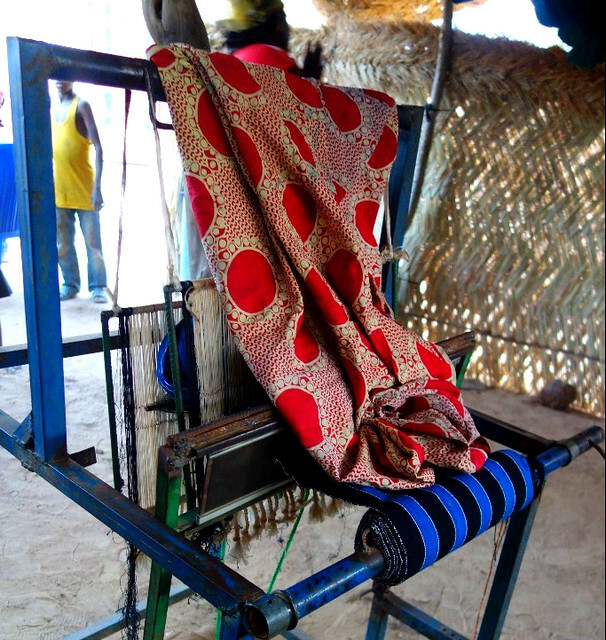 Lots of people in Burkina Faso now, both men and women, want to wear clothes woven from this local cloth. Louta, spotting this new fad, knew how to weave and had all the necessary tools to do it. She prayed and dared to ask the manager of the Dorcas Project to give her a big loan so that she could buy a large quantity of cotton yarn. 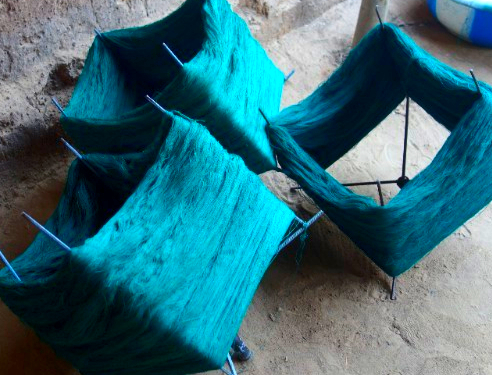 But she needed help in order to honour the demands of the market for this fabric, so she asked other women to help her, either to dye the yarn or to weave the cloth. She dared do something that very few people do: she seized an opportunity and had great results. Louta earned 500% of the loan that she took from Dorcas. She was able to reimburse her loan, plus she gave work to 18 other women, mostly widows. She helped two of her children go to university. But the best of this story, in my opinion, is that she decided to support two pastors last year with her earnings, and this year she added two more. Widows in Burkina Faso and in Africa generally do not have much of an income or status. They are not considered worth much by society. But Louta is confident, and just like the Proverbs 31 woman who is successful in her work, she laughs at the future. And I smile and praise the Lord for His faithfulness to widows like Louta! Thank you for praying for the widows of the Dorcas Project and being a part of what the Lord is doing to help widows like Louta to be successful and be able to laugh again. 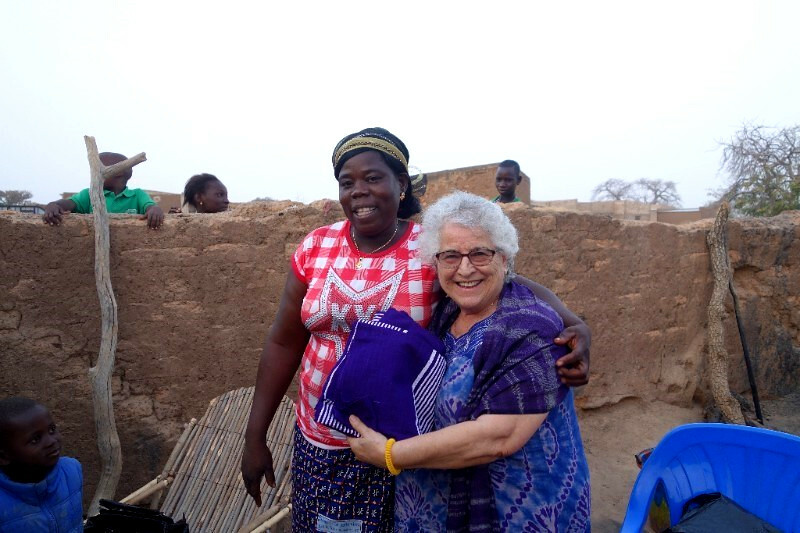 Could God be calling you to help widows like Louta with the Dorcas Project? The project is still in great need of help, managers, and funds as it expands to new areas. Contact SIM today if you think He could use you to help the widows of West Africa.